Yes, I was referring to this week: the results of THIS week show TO ME that PS4 is indeed stronger than Wii U in Japan, considering the different actual significant softwares available, and make me think that in the long term the PS4 will indeed sell more than Wii U. You are getting the wrong impression, I simply disagree with your prediction and the importance you attribute to this weeks sales, because this week basically is just business as usual. No, reason to react so sensitive when someone doesn´t share your opinion and responds to you in a discussion forum. I just think that your prediction, when this hypothetical take-over could happen, are way too optimistic, no offense. mid 2015 simply isn´t possible even if WiiU completely tanks this holiday season. even 2015 as a whole and early 2016 are a stretch. The first major turning point for the PS4 in Japan will probably be Bloodborne's release on Feb 5 2015. There is nothing from now until then which would really make a direct impact at the retail level. By the end of TGS we might have a more complete picture of what the first half of 2015 will look like for the PS4 in Japan. Bloodborne, RgG 0, Dragon Quest Heroes, maybe Persona 5, or even Type-0 HD will likely be the main bigger titles in the first half of the year to make the PS4 a stronger value proposition. Smaller stuff like Disgaea 5 will also help during the period. But if we look at it realistically with conservative estimation, it's still a bit of a struggle to overtake the WiiU quickly. Let's say the gap of 1.3 million stays the same until early next year. And let's saying the PS4 starts averaging 40k a week (going up or down depending on releases) starting from Feb. And let's also throw in the bonus that the bigger titles give a combined unique boost of 300k to the userbase during their launches. That would still take over 7 months for the PS4 to close the WiiU gap. I certainly think the gap will be closed in 2015, but probably closer to the end of 2015 than mid-2015. So far most western games sold better on PS4 than on PS3 this year when both version released at the same time. Makes sense, people buying those games are 'harcore' users who are still very interested in console gaming, and therefore would be among the first to buy a PS4 without waiting for FFXV or whatnot. I'm not sure how one derives that these associations have diminished and/or changed based on some poorly performing ports. How exactly these poorly performing ports are indicative of a sea change in where consumers expect the franchise to continue. Or how any significant brand equity has been established by these poorly performing ports towards the Wii consoles being associated with musou. People aren't buying PS4s for late musou ports. They obviously aren't buying Wii Us for these either. But I'm not sure how from that a decision maker at Koei concludes that the audience for their next proper musou game has shifted. I'm not sure what other franchise you're referring to besides the musou games. You called it "circular". Well it does cycle realistically, these factors all feed into each other and reinforce. Consumer expectations have been set by precedent, by significant investment on the part of platform holders and publishers. These expectations do play into purchase intent and decision-making, into audience building. The perception of audience leads to platform decisions, which reaffirm consumer expectations. Effects built up over decades. You can call it circular or self-fulfilling prophecy or bias or whatever else. But there isn't any onus on publishers to be "fair". Did I say publishers should be "fair"? I'm not even sure what means? The evaluation of a shift (not necessairly a sea-change, this has been gradual and we saw it starting last generation) comes from the fact that consumers aren't following these decades worth of built up industry expectations. How do you even define consumer expectations now? You're staking a claim here that we really can't prove, in fact the only empirical data we have (sales) indicates otherwise. And it's not simply the identical Musou bombs. PS4 isn't selling like a platform that consumers expect to be the home to nearly every major 3rd party game, there's no relative audience building or intent occurring here. Historically PlayStation associated franchises from virtually every big publisher are performing better on 3DS than Vita, I even named several for you earlier. How does this not imply some sort of movement in consumer expectations? What evidence do you have that consumer expectations are locked in to some status quo unwavering for decades now? Because I don't think they are, they seem different. The issue I'm proposing is that publisher expectations are lagging that to such a large degree we can't even point towards sales anymore. Not reduced sales (that was last gen) but equal or worse sales. Publishers seem to be operating on what then? Expectations? Bias? Faith? You are getting the wrong impression, I simply disagree with your prediction and the importance you attribute to this weeks sales, because this week basically is just business as usual. No, reason to react so sensitive when someone doesn´t share your opinion and responds to you in a discussion forum. I just think that your prediction, when this hypothetical take-over could happene with duckrol, are way too optimistic, no offense. mid 2015 simply isn´t possible even if WiiU completely tanks this holiday season. even 2015 as a whole and early 2016 are a stretch. It'd be "amazing" for the Wii U NOT to have a decent holiday with both MK8 and Smash (and Captain Toad). Sony obviously called Koei Tecmo asked them for more Warriors ports. That's what they do. I'm not comfortable with that, though. I mean, I'm not even sure Sony can be considered a Japanese company anymore, since they completely throw their honor away by making these deals with 3rd parties to make games for them. And they have no shame in doing that either. Nintendo never asks 3rd parties to do anything for them. Plus, they know they all will come to them eventually asking to make games for their systems. Nintendo really doesn't need to do anything. Like Square Enix did when Dragon Quest bombed on PlayStation systems, they went running back for Nintendo. It's just a matter of time. I have my doubts about that. Wii U is going to crush the PS4 this holiday season due to the Nintendo holidays effect and Smash Bros. I see them ending up with pretty close YTD numbers. So I see the gap at EOY 2014 at ~1.5 million. WiiU's YTD so far is ~625k in 2012 and ~900k in 2013. Right now it's tracking slightly behind 2013, so let's say ~800k in 2014 and maybe ~600k in 2015. That means the PS4 has to sell ~2.1 million in 2015 to catch up to the WiiU. That's PS2 numbers. Could it sell 1 million in 2015? Yeah, possibly. 1.5 million is a stretch. 2 million+ is a pipe dream. PS4 won't catch up until well into 2016 at the earliest unless Wii U completely collapses. I really doubt that, PS4 would probably have to sell about 2 million in 2015 to do that wouldn't it? edit: anyone have PS3 YTDs for every year? Yeah. Mid to late 2016 sounds more like it. WiiU's YTD so far is ~625k in 2012 and ~900k in 2013. Right now it's tracking slightly behind 2013, so let's say ~800k in 2014 and maybe ~600k in 2015.That means the PS4 has to sell ~2.1 million in 2015 to catch up to the WiiU. That's PS2 numbers. Could it sell 1 million in 2015? Yeah, possibly. 1.5 million is a stretch. 2 million+ is a pipe dream. PS4 won't catch up until well into 2016 at the earliest unless Wii U completely collapses. That's what will happen. 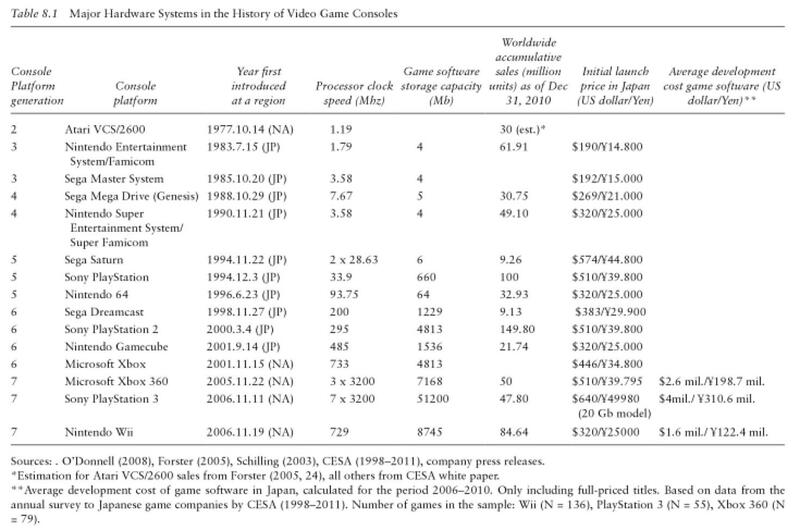 Nintendo console sales are largely driven by big hitters, when they run out of big hitters sales completely collapse. Just look at Gamecube 2003 > 2004 or Wii 2010 > 2011. All hypothetical but PS3 never reached such highs. Praise the lord if PS4 averages 20k weekly after Bloodborne, especially with no price cut or slim. Look at what you've done, guys. You've turned Road into a GAF-meme machine! PS3 hit 1.7m at its highest in 2009. No way the PS4 is going to hit that with a bunch of multi-plats unless FF and something else big releases next year. PS4 may reach the Wii U LTD by end of 2016. I think that there's an underestimation of momentum here though. 2009 for PS3 could be a pretty good comparison for 2015 PS4 I think. That year had stuff like ToV, RgG3, RE5, and FFXIII for PS3. A strong year and it pushed the YTD for the PS3 to 1.7 million. Considering the lower PS4 userbase at the moment, there's also a chance for a higher spike in interest with strong momentum. It doesn't mean that with a 2 million YTD in 2015 that the PS4 will be doing as well as the PS2 though, because these days the ceiling is still much lower. - Can the undated big titles like MGS5 and FFXV show up at the end of 2015? - How much will cross-gen hurt the adoption rate? - Will the word of mouth be strong for the titles with expectations attached to keep a strong buzz going for the system? 1. 2009 had the PS3 slim and a big price cut which was a big factor in driving sales in August/September. I don't see a $100 price drop in 2015 and certainly not a slim model. 2. 2009 had FFXIII demo (lol) in April and FFXIII in December. I don't see FFXV coming out in 2015 but I guess it's possible. 3. A lot more cross-plat games. MGS, RGG, DQ, and Persona are all cross-plat. No mainline Tales, no mainline RE, and no mainline FF (I think). I think you simply underestimated what actually would be needed to close the gap in 2015. Another thing that seems to get ignored is that 2009 saw the launch of the PS3slim, which pushed hardware sales. Final Fantasy and Metal Gear Solid are still very big IPs but I won´t exclude further decline in popularity in Japan. Who knows MGS5 might even be a crossgen title. Obviously we won't know for sure until it happens, and we won't have confirmations about end of 2015 titles until some time in 2015 itself. We can only speculate on that. What I'm saying is that the first half of 2015 will have strong momentum, but not enough to bridge the WiiU gap, and if they second half of 2015 can deliver with more knockout titles, there's definitely a reasonable chance for it to happen. It's not really impossible. Comparing it directly to how the PS3 did is not that useful because a lot of this depends on software momentum. The point about the PS3 Slim is very valid though. It's not something I factored in. The price will definitely be a challenge for Sony in that regard. Why do you think a Souls type game will turn around things in japan? That's fair. We don't really have a good picture of what H2 of 2015 looks like right now. But this time last year I expected a lot more games to be announced/released for 2014 and we know how that turned out, so I'm a bit more skeptical. I could see Sony dropping price next fall worldwide. PS4 is a lot better engineered than PS3 was so costs have probably come down enough next fall to do price drop (they will probably skip $349 price point like last gen and go straight to the $299 which means about 30k yen in Japan I guess). It's not about the specific game turning things around for the PS4, it's just that it will be the first of the titles in the first half of 2015 which have the ability to show ongoing value on the platform for core console gamers who would buy a PS4 but have not bought one yet. If the release dates were reversed, it could easily be any other other titles in that chain. The Souls games do >300k on the PS3. There's probably a number of those fans who are also fans of other PS3 franchises like RgG, Musou, FF, Persona, etc. Since Bloodborne is a true exclusive, people who are considering getting a PS4 for it will look at what other titles are also coming out on the PS4, even if many of them are on the PS3, the appeal of enhanced versions of those games along with being able to play Bloodborne could well be enough to make it an attractive offer. That's how momentum picks up. It's not going to convince everyone, but that's basically the earliest chance the PS4 has to start changing mindsets on the platform. But....The Wii U already has "collaspe" numbers and the PS4 isn't closing the gap. If both systems were doing like 15K and the Wii U collasped to 5K, that'd be different. Both are currently pretty dead. I think it late 2016 is the earliest the PS4 can fully catch up. The faith put in Bloodborne really reminds me of Soul Sacrifice. Doesn't seem like you're actually reading anything. Bloodborne is the first big PS4 exclusive for the Japanese market. It's also being surrounded by a bunch of cross-gen games and smaller PS4 exclusives like Disgaea 5. People are saying that Bloodborne is the starting point of the great 2015 lineup and it can help improve the PS4 hardware sales along with the other games. As duckroll mentioned, it's basically the "Oh, I want Bloodborne! Hmm Persona 5, DQH Yakuza, etc are also coming out on PS4? Maybe I should get a PS4". There needs to be more big 2015 current gen only games for that market though. Hopefully we'll see more of them at TGS. Bloodborne is also the first big game for the PS4 since the launch window (Yakuza/MGS), and unlike the last two, it's completely exclusive to the PS4. It's not going to "save" the system single-handedly, but it's the first in a lineup of games that will convince people to get the console. Edit: ^^ what he said. Edit2: Also, Soul Sacrifice totally saved the Vita. Everyone knows that. Bloodborne will not do the numbers that RnG 0 and DQH will deliver, but it's a necessary title in-between all the offerings to compel the audience who might had picked up the cross-gen games on PS3 to migrate to PS4 on the back of Bloodborne. If Boodborne isn't bigger than Soul Sacrifice, SCE will have a problem. I'm pretty sure Dark Souls 2 PS3 first week in Japan is above or close to Soul Sacrifice LTD. Dunno about Delta, but really, nobody cares about Delta. Except Soul Sacrifice wasn't a new entry in an already well established series (yeah Bloodborne is a new IP but at the end of the day its just a new Souls game). And most people just saw Soul Sacrifice as another MH clone. Having a console price drop coincide with the release of Bloodborne (like they did with Soul Sacrifice) would be nice though. What can we realistically expect from Bloodborne? Does something like ~150k FW / ~250k LT sound reasonable? BloodBourne is the first legit exclusive for PS4, and it's probably going to sell a lot better than Soul Sacrifice (unless something really awful happens, but I doubt it), so yeah, I can definitely see it starting some momentum, given how PS4 should get a pretty good amount of games. Lots of them being cross-gen, but still a pretty good amount. Yeah, PS4 main problem is the lack of exclusives indeed. Actually, since third parties is present, I'd say the lack of FIRST PARTY exclusives. That's the main problem for PS4, since third parties aren't ready to risk with PS4-only titles enough right now. Fortunately, BloodBourne is one of them. Yeah thinking about it does seems unlikely. Maybe not in 2015 but sometime in 2016-2017. So the Soul series didn't really grow in Japan from the 1st game... and Bloodborne will change this trend? Level 5 got lucky that the Yokai Watch anime became as big as it has and what they do wouldn't really work for a company like SE. I never understand why people keep calling L5 lucky. If they only hit it big once, sure they can be called lucky. But Layton was million sellers in Japan and so was IE. Now YW becomes a bigger hit than both of them. Even their "failed" project like LBX or Fantasy Life did decent. It's obvious that L5 knows how to create kid friendly new IPs. Even if Nintendo sells 0 unit of Wii U in 2015 in Japan, I doubt PS4 can sell 1.3 million units in 2015 in Japan. The momentum started by Bloodborne would get PS4 to start selling 40K a week which it is selling around 6-7K right now? PS4 in 2015 would sell more than PS3's best year because of this "momentum"? Where was this conclusion base from? Even if MGS5, FFXV AND KH3 all release in 2015 and PS4 gets a price cut, PS4 will not sell 2 million units in Japan. Good job as usual BKK. What was DC final shipment in Japan? I always found the 2.8M a bit puzzling. I was thinking wouldn't be a better idea to open a thread for sales data of old systems (let's say Dreamcast and below). There is a severe lack of good researched data for this subject on the net. What do you think sale-agers? Note: 170k (forecast) for "02 03" contradicts 200k from Nikkei (the only year that does contradict) of course it's only a forecast, but they specifically state that they expect to sell all remaining consoles, implying that no other consoles are available to be sold. I guess it's possible that they accepted returns from other Asian regions and sold them in Japan. We've seen negative shipments for WiiU in Europe before, so that's not unprecedented. I guess that is where the "2.8m" total comes from. I have been considering starting a "Retro Sales-Age" thread, I just need to work out the format of it first. RER2 is early 2015 as well. I suspect many of the TGS titles are going to be released in the first half of 2015. MGSV has to be out by the end of 2015. I feel GT and FF are extremely unlikely to come in 2015. I definitely expect PS4 to overtake WiiU during 2016. It will be interesting to see how PS4 performs in 2015 since it actually has a release schedule now even if most the titles are multiplat. As Bloodborne will be legit big AAA title from Sony I could see it having more marketing than past Souls games. Aso it being pretty much first current gen Japanese exclusive title on PS4 could atract some extra audience. I am going to predict similar numbers to Dark Souls or even little higher. The gap with Wii U won't be closed until 2016 at the earliest. Even with Wii U completely collapsing next year, there will likely be price drops and other things to keep Wii U from selling 3-5k a week which is what it would take for PS4 to catch up . Also the despite the fact that Wii U won't have another million seller (or maybe not even another 600k+ seller) ever after this year there is still Yoshi and Kirby which the latter is a big franchise. I also don't see a chance in hell the PS4 hits 2 million next year. There will be a price drop, but the software situation looks more like a Vita level revival and not a PS3 2009 situation. What is final Dreamcast shipment number worldwide ? I know exactly what he meant, I´m talking about pretty apparent similarities in pre-release expectations (in its importance as helping the system), the arguments were pretty much the same (building and keeping the momentum, around its release Sony tried to have a constant stream of PSV games and tried to build momentum starting with a price drop and Phantasy Star Online 2 and later Soul Sacrifice, followed by Hatsune Miku and other releases, so yes there are pretty apparent parallels), regardless of Soul Sacrifice falling short of those expectations. I also don´t think it will be too hard outselling the first Soul Sacrifice. Ah yes, Sega Financial Report. I would like to be part of a thread like that. larly regarding hardware sales volume. exceeded initial targets with domestic sales of 130,000 units and U.S.
sales of 530,000 units for the first half. I don't think comparing userbase there is the right way to look at this comparison. The reason Dark Sols so a lot more than Demon's Souls is not because of the installed base, it's because there was practically no real marketing for the game and Sony expected it to just die. It got a wretched score in Famitsu, the first week was abysmal because the shipment was super low. But somehow it kept selling and selling. 168k is the LTD for the original version, but the budget re-release sold another 120k or so. By the time Dark Souls was released, the fanbase had really grown, but due to factors beyond just the userbase. I do think that your conclusion is kinda close though. If it doesn't sell at least 150k in the first week, it's a really bad sign for Sony. I feel that if it doesn't hit 300k LTD, it's a failure in Japan. These numbers are definitely attainable even with a relatively low userbase, because they're targeting core gamers heavily. If they fail to be able to retain those numbers, it means people aren't biting. I honestly don't think PS4 will overtake Wii U next year in Japan. There isn't much for PS4 the remainder of the year. Which means the gap will be increasing from here until the end of the year, though not by a ton, will be significant with Smash Bros coming and holidays. I think that will be enough to offset any PS4 software, especially without FFXV and KH3. I really don't see either game coming next year. Wii U will possibly see a price drop as well, though how significant that will be is questionable, as imo price has never been the console's main problem. But it should help. I do believe Sony will cut the PS4 price next year worldwide, to $299 USD. They will be wanting to hit that number for a huge spike in userbase globally, and they will stay at $299 indefinitely. That should help PS4 in Japan but still, lacking heavy hitter software. 2016 will be a big year for PS4 in Japan. With the price cut having happened, FFXV releasing, possible DQXI announcement, maybe Biohazard 7, and Wii U winding down software wise. I believe 2016 is when PS4 passes Wii U in Japan. Well last February/March was a really good time for Vita so I doubt Sony would be disappointed if the same thing happened with PS4. The problem is that 1) the bump couldn't keep Vita above 20k for that long and 2) there will likely be no price drop that early to complement the new software releases. We have gotten hints that a price drop is certainly coming next year though. Yes I don't expect the install base to matter too much, that's just to give some context. However, if the PS4 is sub-1million by February 2015 (and I think there's a good chance of that), I have a hard time seeing Bloodborne hit 300k LT. It's not a series with THAT kind of attach rate. I guess it also depends on how many PS4s the game can push. I dont think there will be much, if any, growth. Did anyone claim that though? If I remember rightly international Dreamcast numbers contradict each other depending on which financial report you read. The commonly quoted figure is 10.6m. It's complicated by the fact that BigBen bought all remaining European Dreamcast stock from Sega and officially supported it for some time after Sega dropped it. That's something that needs clarifying (Sega stop reporting figures for Europe in their later financial reports).